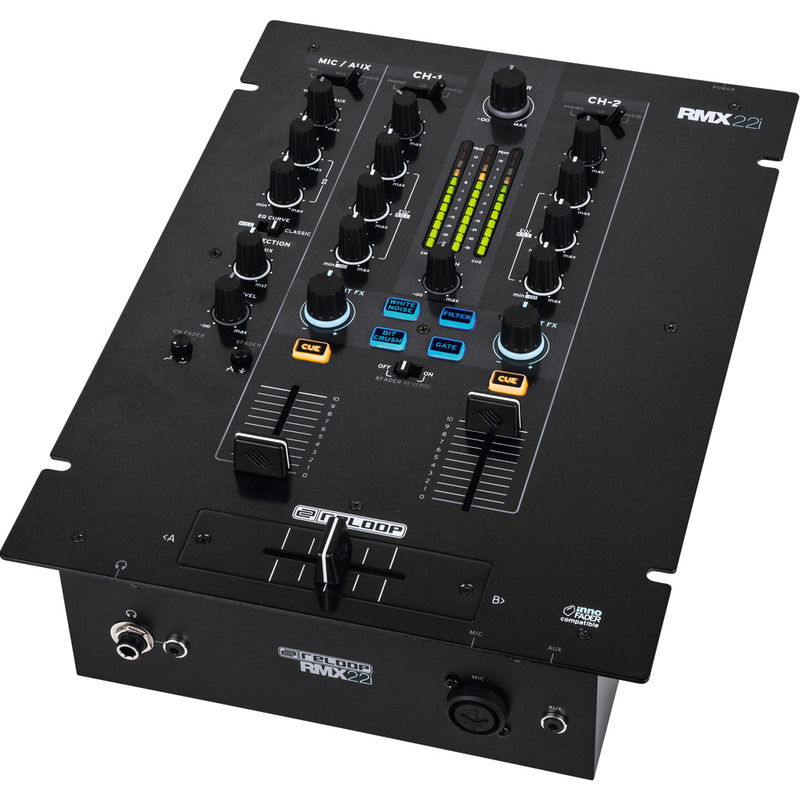 The Reloop RMX-22i is a 2+1 channel digital effect DJ mixer that benefits from the same high-quality build and sound characteristics found on the flagship RMX-80 Digital mixer. 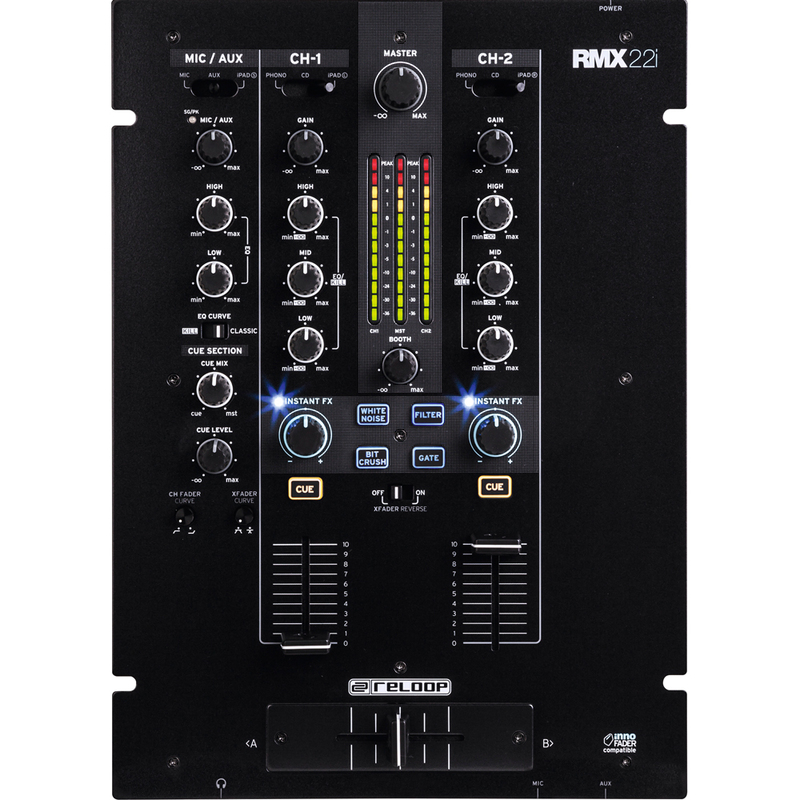 (Also available in a 3+1 channel version, the RMX-33i). With fully digital architecture for outstanding sound and flexibility, The Disc thinks this compact club-style mixer is great. 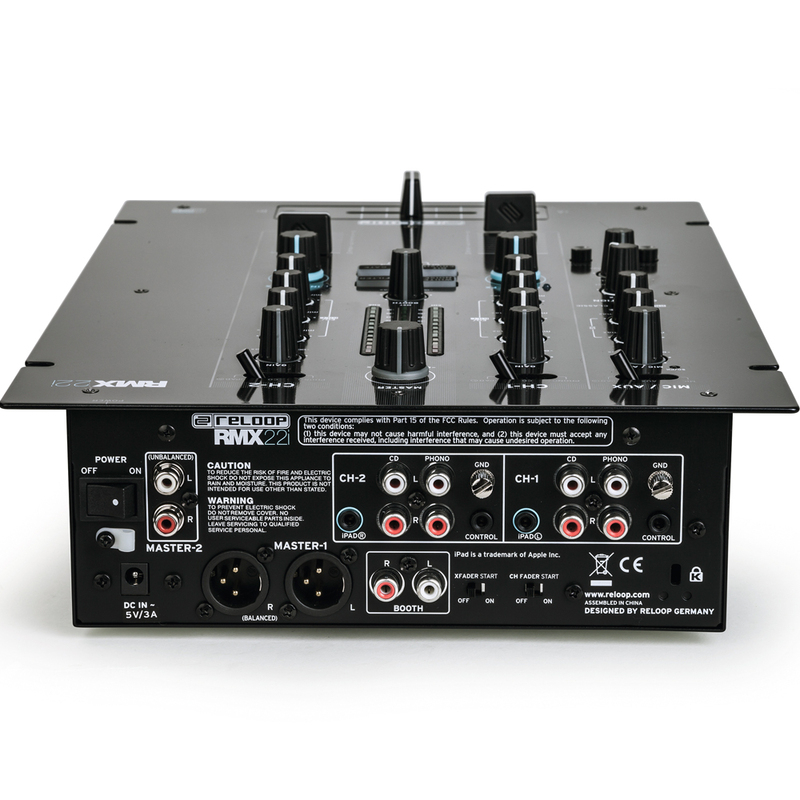 The RMX-22i has 8 inputs altogether: 2x phono, 5x line, 1x combo-mic* (the RMX-33i has 10 altogether: 2x phono, 7x line, 1x combo-mic), and both versions have 5 outputs: 1x balanced (XLR), 2x unbalanced (RCA), and 2x headphones (6.3 mm jack and 3.5 mm jack). 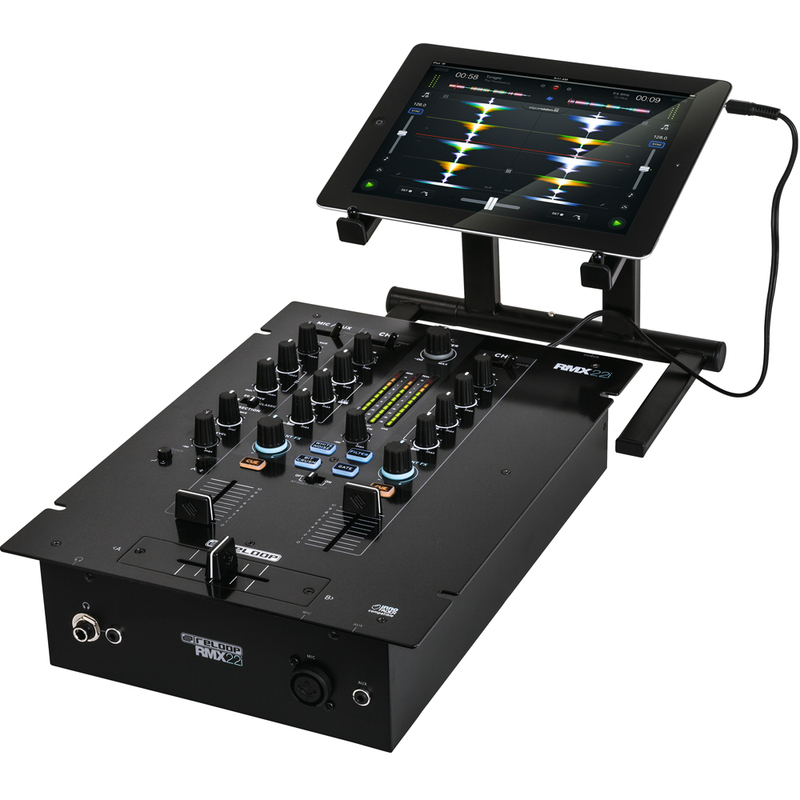 An audio split input makes it possible to include an iPad, Android tablet or smartphone directly into your DJ set-up via 3.5 mm jack to the RMX-22i. The supplied iPad split cable can divide the audio signal into two separate mono channels or delivers one stereo output. The RMX-22i has four high-quality digital Sound Colour effects built-in. White noise, Filter (low and high-pass), Bit Crusher and Gate can be assigned to the dedicated Instant FX potentiometers at the push of a button. The effects can be used for any channel and are modulated via a large, bi-polar potentiometer to achieve exactly the sound you want.The instantly recognisable mixer layout has a three-band EQ section that can be easily set to 'Kill' (isolator mode) or 'Classic', to suit any individual mixing style. The line-fader and cross-fader curves are adjustable on the mixer surface, so smooth mixes and hard cuts can be carried out quickly and changed mid-routine. In addition to curve adjustment, the cross-fader and line-faders can be set to auto-start or crossover-reverse to suit the needs of your performance. The RMX-22i's high-quality crossfader can also be upgraded with the new Reloop Innofader by Audio Innovate for a truly unrivalled performance at a very appealing price.